We have many in store designer gowns such as Ashley and Justin, House of Wu, and Jasmine Brands. 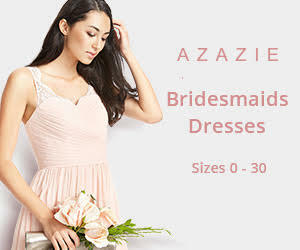 We are also affiliated with Azazie Brand, which is an affordable online dress store. They have the option to ship samples to your home for try on. Make sure anytime you go to this site you click from our website below to be affiliated with P.S. I Love U.